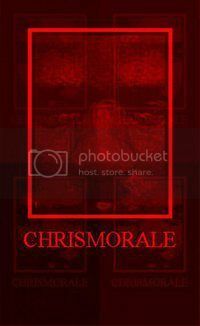 Chrismorale (one word) is a gifted east coast producer with a lifelong love affair with music that inspires him to grow in many different directions. He has the unique ability to take a track apart in his mind and hear each instrument separately, which enables him to build an instrumental with a sharper, more defined strategy and creative angle. He is a 'hands on' producer, meaning he prefers working with an artist one on one in understanding the mindset, hearing their natural voice, establishing a direction and ultimately producing a track that both producer and artist can be proud of. As an artist who has been a writer, recorded and performed, he has worked with a multitude of artists, with an impressive array of albums, mixtapes and placements under his belt such as "Its Hiim" "Zeroheroes I and II", "Joint Custody" and "Half Man Half MoDazin" to name a few. As an experienced producer Chrismorale has worked with respected artists such as Paula Perry, 8BZA, Negus, UK artist Tenza Foster, Eric G among others. Click on the hyperlink picture above and links below to check out examples and instrumentals!